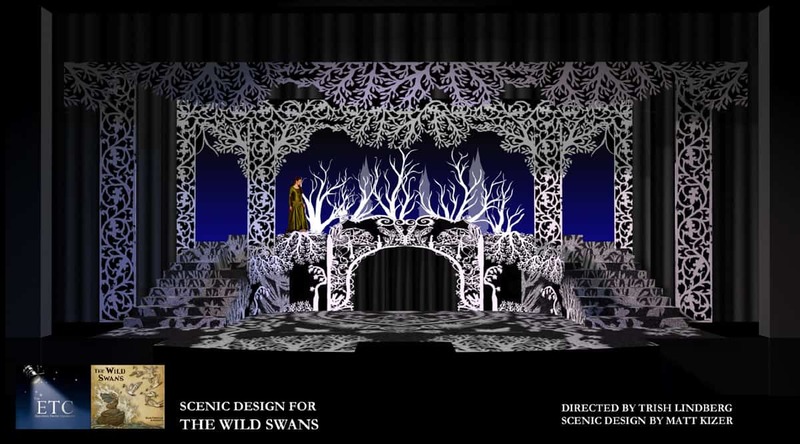 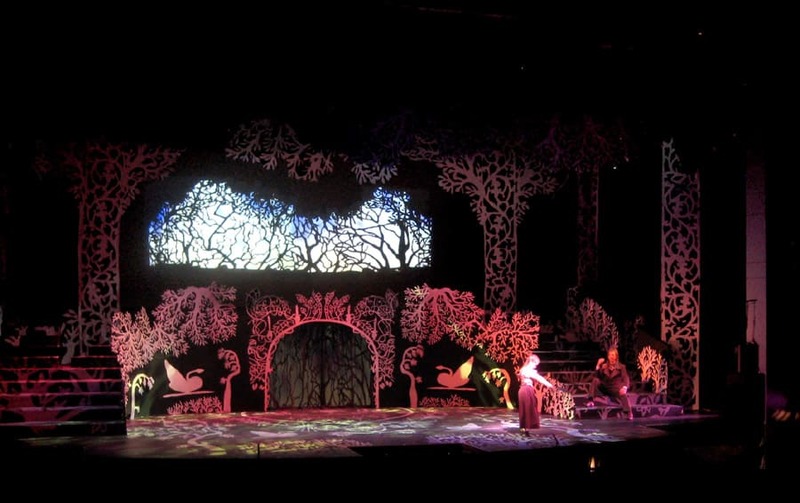 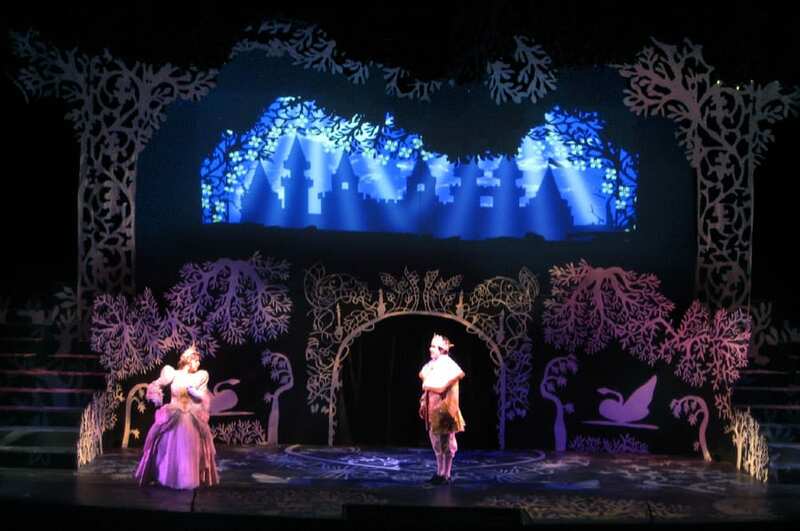 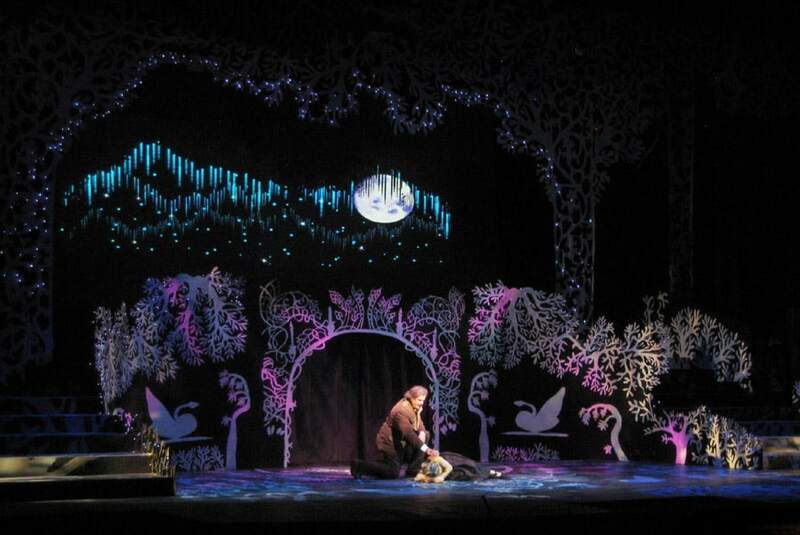 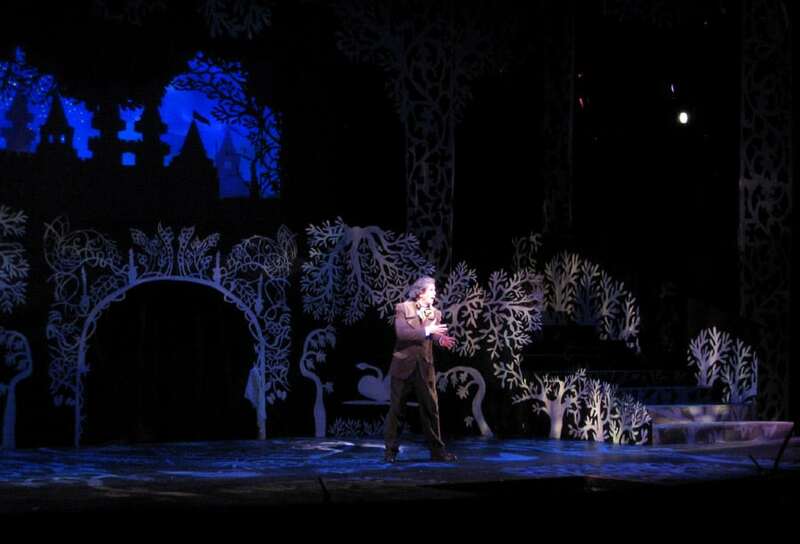 The scenic design is inspired by the paper-cuttings of Hans Christian Anderson. 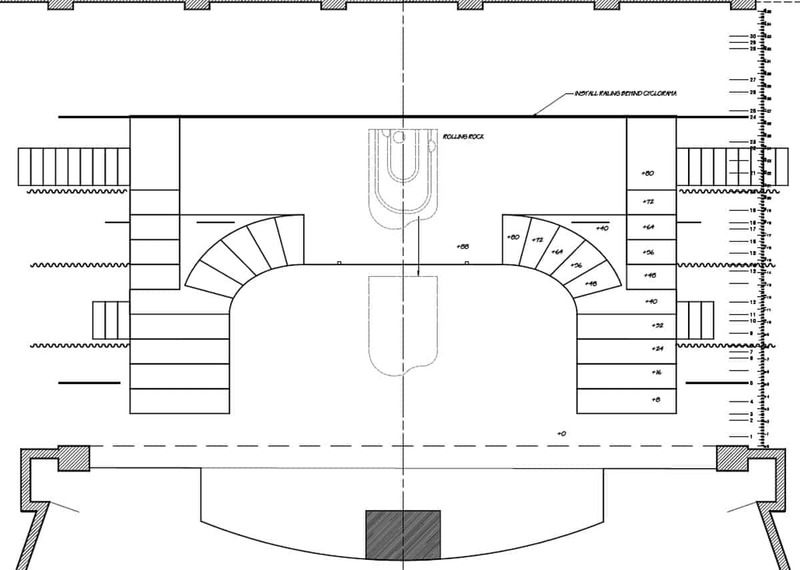 It includes two projection screens: one is upstage, across the back, and the other is a center-stage arch. 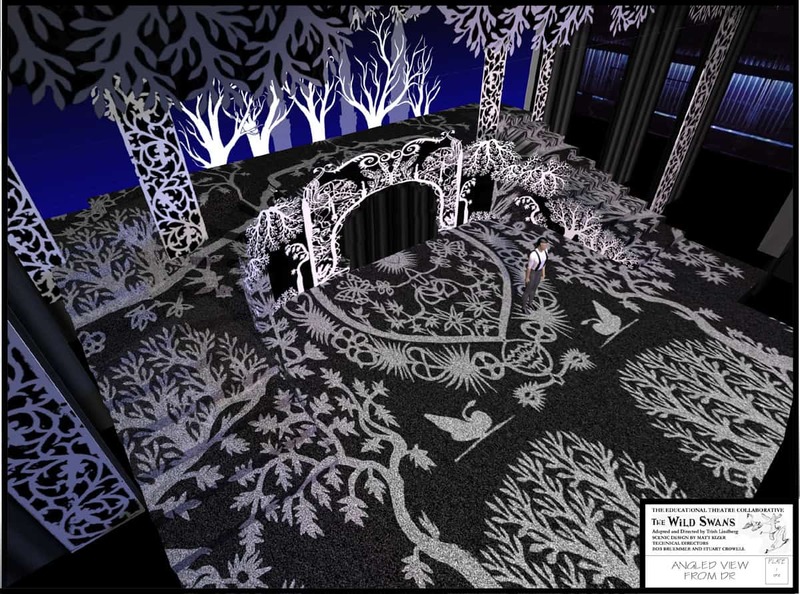 The set is designed to accomodate dance. 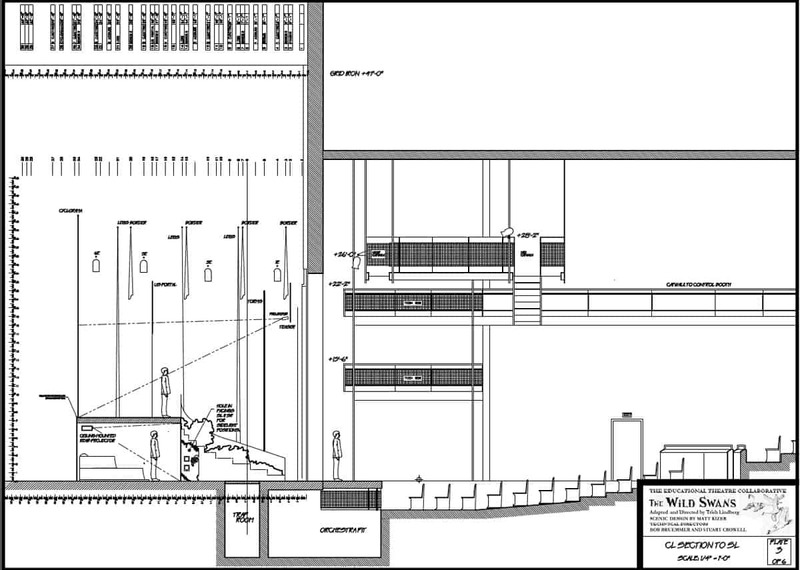 The stairs leading up each side of the set have 24″ runs and are 8′ wide. 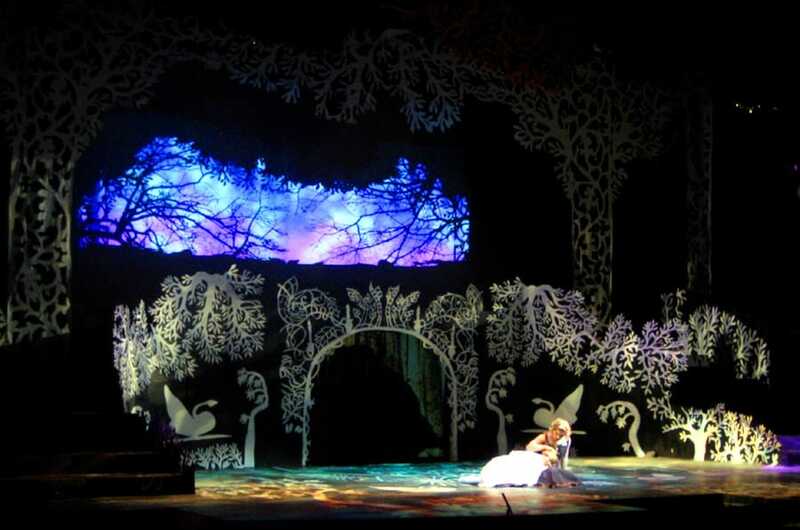 Every step is big enough to be a dance area by itself. 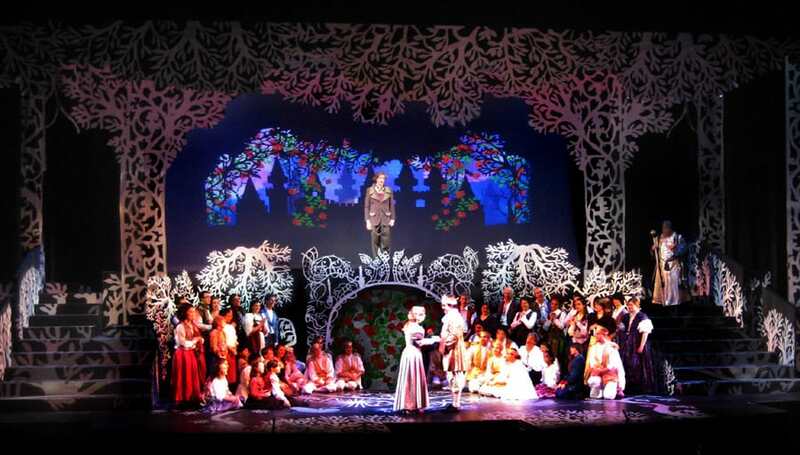 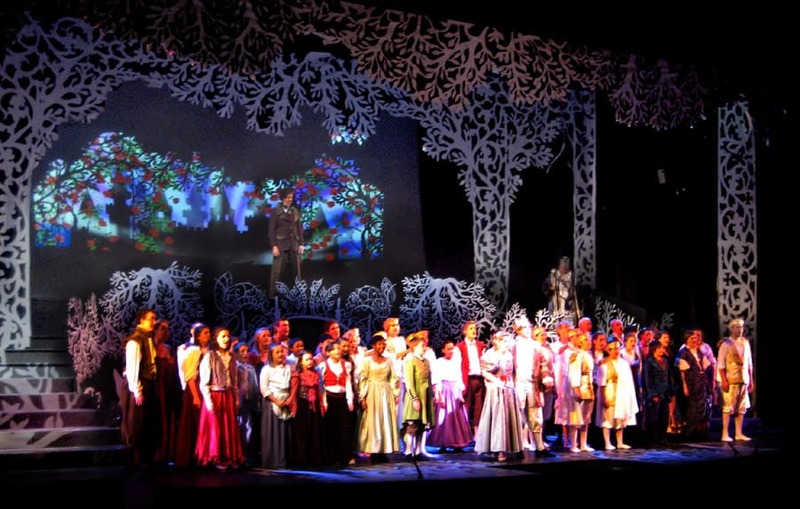 The set is also designed to allow a very large ensemble to be visible at once. 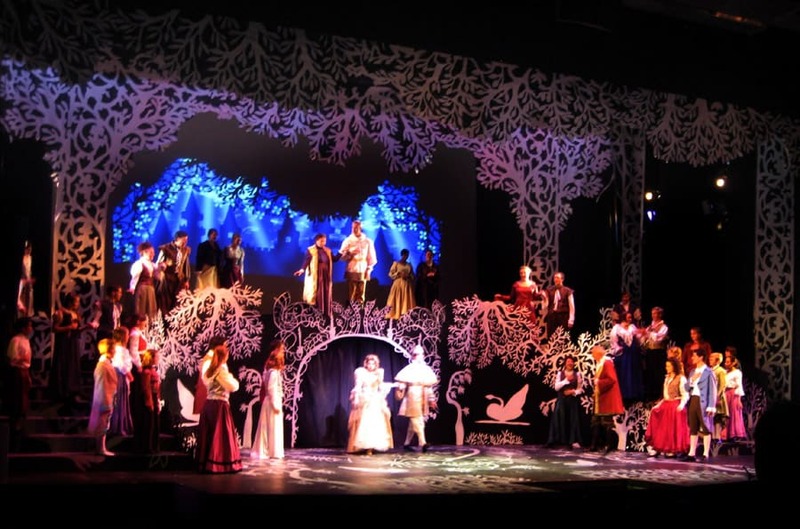 Like all ETC productions, this show included a moderate-sized cast of professional or professionally trained principals, supported by a very large ensemble of community players (about eighty people). The lower projection screen is a rear-projection surface. 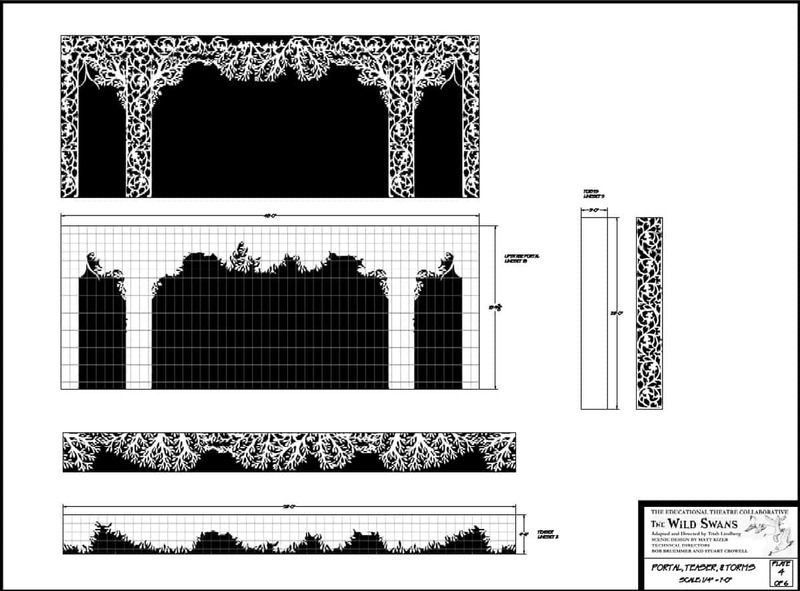 We used gray RP material, and covered it with black voile (a sheer material that behaves like scrim). 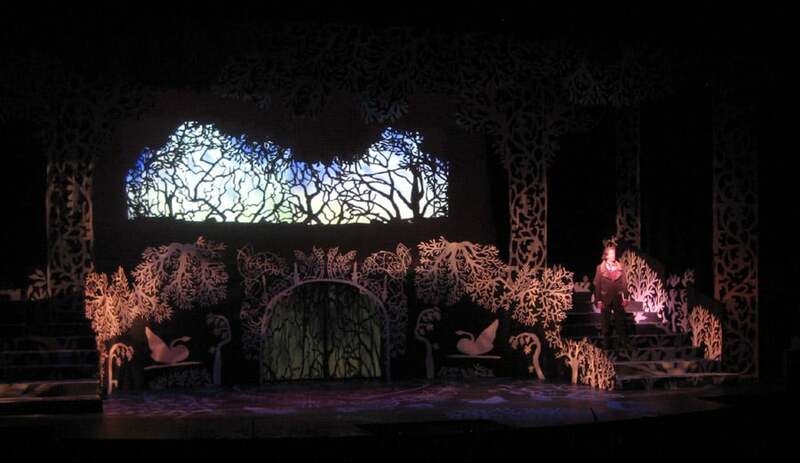 It read nicely as if it were black velour when it was not being used as a screen.